Ever since The Sixth Sense hit screens back in 1999, M. Night Shyamalan has long trumpeted a penchant for twist endings. It's a reputation that hasn't always worked in his favor — see 2008's critically panned The Happening — but he recently pulled off one of the most unprecedented shockers of his career. 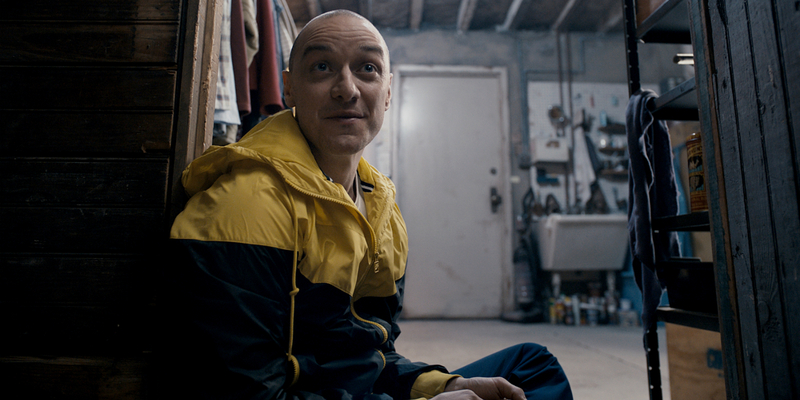 Split, his new James McAvoy-fronted thriller, has a surprise connection to his 2000 flick Unbreakable. The movie has since earned the director some of his best reviews in over a decade and become a certified box office smash, grossing $141.9 million worldwide on a $9 million production budget. Shyamalan has already teased plans for a proper follow-up, writing on Twitter that he has an 11-page outline ready for development. It's an interesting approach. Part of what worked so well about Split is that it was compelling on its own. Viewers needn't have seen Unbreakable to enjoy the movie; its final moments were just a bonus. Still, the twist's success relied on fans not knowing the connection beforehand, which won't be the case heading into Shyamalan's next installment. It's certainly possible he could craft another captivating standalone, but would it be at the sacrifice of context? At some point, he'll need to tie everything together in more than a 30-second scene, which may include bringing in a little backstory. It's a delicate — and complex — web to navigate, but Shyamalan has proved he can handle high concept story lines. Let's hope Split is just the beginning of his comeback.